I have replied to you privately by email. To request consideration in the Fair, email olivercac @ gmail.com We will forward the request to the organizers, who are a separate entity from the arts council. 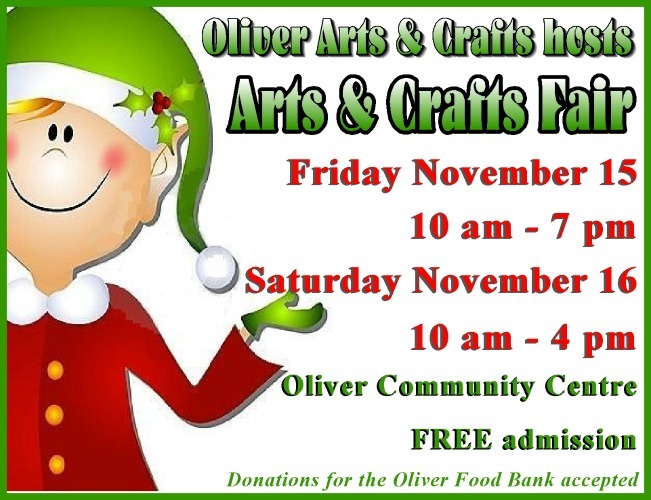 I love going to annual craft fair and have not missed it since I have lived in Oliver. I did notice this year there were no painted tree decorations. Since that is a craft I have sold for many years when I lived in the lower mainland, I would like to be considered for next years event (2014). I also paint on candles.